March 27, 2014 – Hi everyone! I’m Liz from A Nut in a Nutshell, and I’m excited to be here today to share one of my favorite ways to get creative with leftovers. Putting together a well-balanced meal takes time and effort, and when you see your family enjoying what you’ve made and even asking for seconds, you know it was worth every moment in the kitchen. So how come when the very same dinner is served as a repeat the next day, you’re met with glum faces and whining voices, “Do we have to have leftovers?” It’s enough to make you never want to cook again. Since that’s not realistic, I’ve just learned how to trick my family a little bit. I cook with a “One Meal, Served Two Ways” plan. I cook a big meal on night one, and then the next day or a few days later, I use the leftovers to make another equally delicious meal. The added benefit is that it reduces waste because leftovers are used and not forgotten, and it lowers the cost of each meal by utilizing ingredients from previous meals. 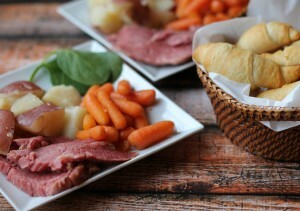 Most recently, I slow-cooked a corned beef brisket and some red potatoes all day long until they were nice and tender, then served it for dinner with glazed carrots and crescent rolls. The results: happy family. 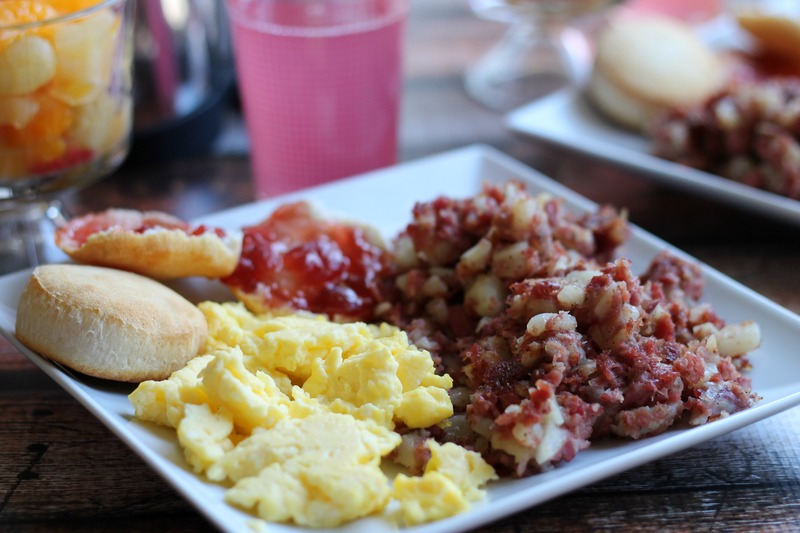 The next day for brunch, I chopped the corned beef and potatoes to make corned beef hash, and I served that with some scrambled eggs, a fruit cup and biscuits with jam. The results: happy family and happy cook, because they ate the leftovers without realizing it! 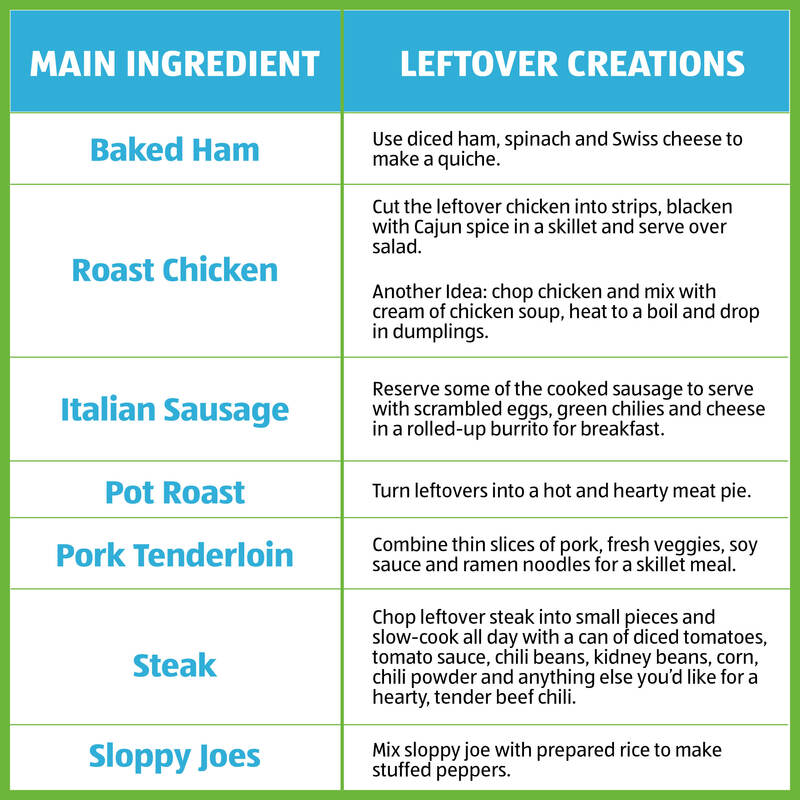 As long as you’ve made sure to cook enough of your main ingredient on the first night, you’ll be all set to transform those leftovers for a follow-up meal! I like to use meat as the hero, but if you’re a seafood person, go for it. Once you get in the habit of thinking beyond just one meal, you’ll be surprised with how many ideas you can come up with. Not only will you be satisfying appetites in new ways, but you’ll be using meat, the most expensive ingredient, twice which will help reduce your overall meal expenses. Photos by Liz Mays for A Nut in a Nutshell.